The Adventures of Strongarm & Lightfoot – Blades of Glory: I had only one writing day this week but I managed to make the most of it. I am finally through a tough sequence and getting back into the story proper, and I’m creeping up on the 47,000 word mark. Woo! Action Figures – Issue One: Secret Origins: Audiobook recording…is almost done! My narrator has just about finished things up and is polishing the recording a bit before sending it to me for review. My goal was to have this ready for a summer release and it’s looking like I might just realize that goal. Saturday, July 8, 3 to 5 PM: Annie’s Book Stop in Worcester is hosting a panel on superheroes in fiction. Monday, July 31 through Friday, Friday, August 4: The Cape Cod Teen Writers Conference at the Barnstable United School, Marstons Mills, MA. I’ll be participating in the Author Panel Night from 6 to 8 PM. Registration is open! 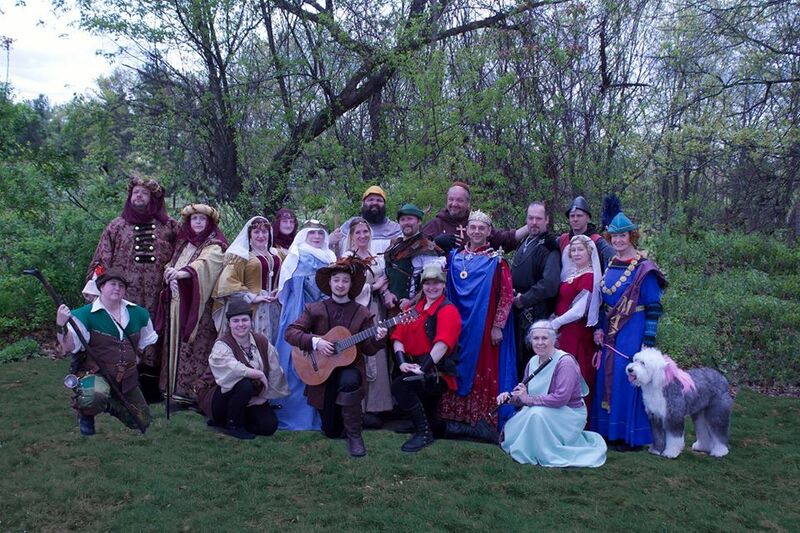 It’s opening weekend of Robin Hood’s Faire in North Haven, CT, so if you are in the area, come visit and see a fun show that we’ve put a lot of hard work into. In particular, come and check out my awesome fight cast! Dave, John, Amy, Phil, and Samantha have done me proud in my first foray as fight director and I expect nothing less from them than brilliance and perfection. The Robin Hood’s Faire cast. Photo by CT Hannon, Photoshop by Brian Harvard. And in case you’re wondering, I’m the guy on the right in the leather bullet helmet.